Mission: The TwinSportsTV Foundation mission is to positively impact and energetically support youth participants in all sports, highlight and broadcast their accomplishments to generate scouting exposure, and provide them the financial assistance for participation in effective, inclusive programs that place an importance on youth development and active lifestyles. Goal: The primary focus of TwinSportsTV Foundation is to develop sound scholars, strong leadership skills, unquestionable character, productive and caring citizens, and exceptional team player mentality in the youth we touch annually. The organization aspires to expose youth to various lifestyle options and introduce them to nontraditional work opportunities, paving the way to new horizons and exciting adventures in life. 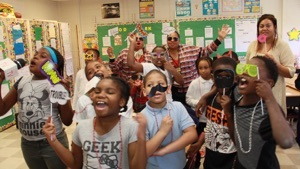 Show your support for impacting the lives of our youth by donating today! “Need2Read Book Tour” Program: New for 2018, It’s Story-time with the TWINZ! The Need2Read Book Tour is an exciting 45-minute program in a small classroom setting. 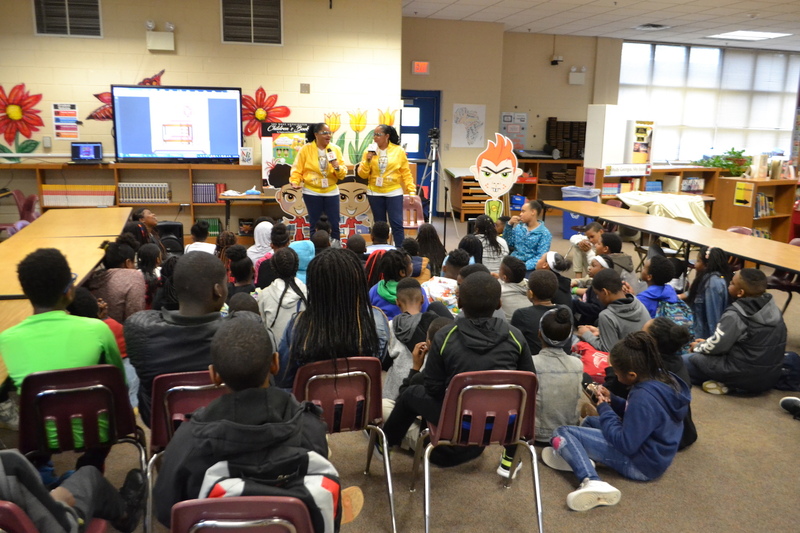 It engages all students about the risk and consequences of bullying and making good choices through storytelling of the new children’s book Regina and Renita Tackle Nasty Nate’s Nasty Ways! written by identical twins, Regina and Renita Deloatch. 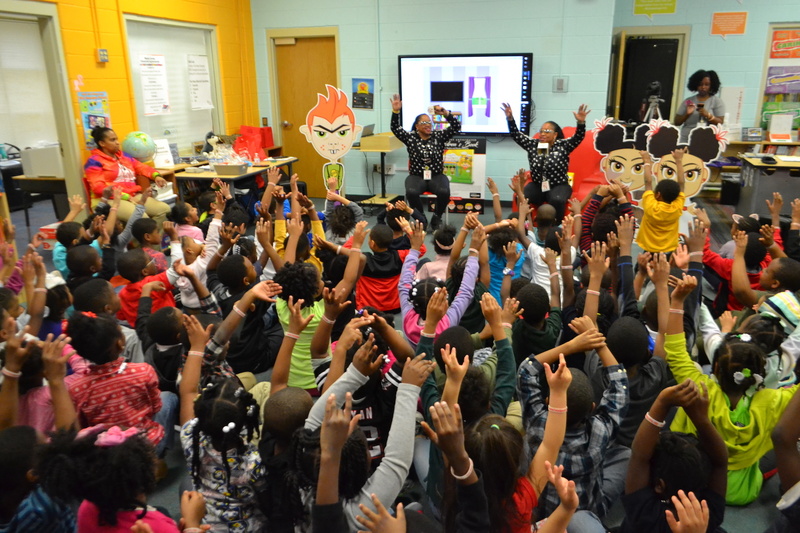 This colorful book is read to the students by Regina and Renita, who are surrounded by life size character props and surprises for students to enjoy! Re-telling their life experience through rhythm and rhyme the story is filled with real life situations. There are three possible endings to the story which allows for deep discussion about what could have happened and what actually happened. Available on Amazon, it’s a great story for school age students as it takes place in popular school environments; the classroom, hallways, recess and even the bus stop where bullying most often occurs. The Get Georgia Reading Campaign is designed to nurture and facilitate collaboration so that, together, we create the conditions necessary for each and every child in Georgia to be on a path to reading proficiently by the end of third grade. Two-thirds of Georgia’s children are not reading proficiently by the end of third grade. This has significant and long-term consequences for all Georgians, because low achievement in reading affects our economy, our safety, and our health. The end of third grade marks the critical time when children shift from learning to read to reading to learn. Children unable to make this shift face serious barriers for future learning, because they can’t grasp half of the printed fourth-grade curriculum and beyond, including math and science. As a result, these children fall even further behind. 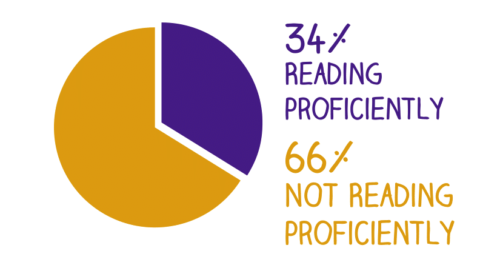 Children who can’t read proficiently by the end of third grade are more likely to experience poor health, have discipline problems, become teen parents, and drop out of high school. As adults, they’re more likely to spend time in prison, struggle with unemployment, and face shorter life expectancies. “TwinSportsTV Ballers Academy” Program: The TwinSportsTV Foundation, a nonprofit 501(c)(3) community-based organization, is excited to introduce the TwinSportsTV Ballers Academy (TBA). This program will positively impact and energetically support youth participants in all sports, highlight and broadcast their accomplishments to generate scouting exposure. EDUCATING is our top priority and All athletes will attend educational seminars at our events. These seminars will help the athletes and parents understand the importance of being an all-around great student athlete. The Foundation prides itself on leading the way for participation in effective, inclusive programs that place an importance on youth development, education and active lifestyles. 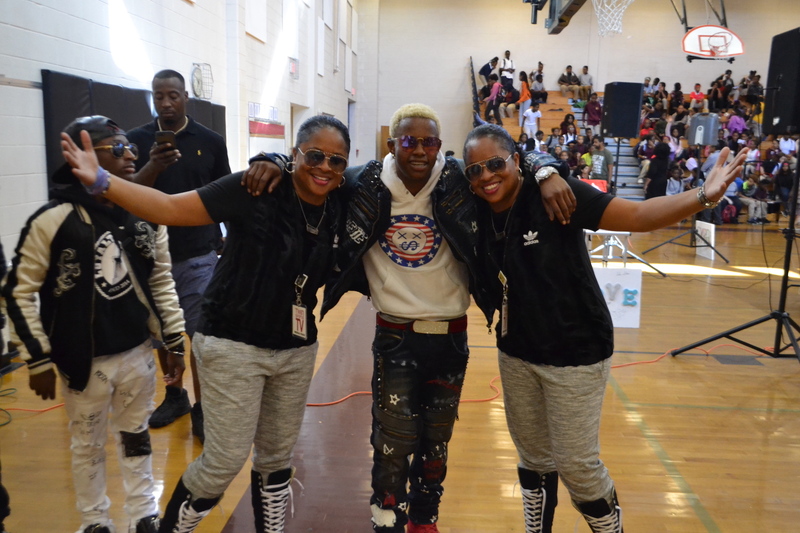 “Be Your Best Self Tour” Program: This is a 60 minute program empowering students by motivating and educating them on the 3 guiding principles: Love Self First, Give of Your Self & Know Your Self. Students will have a clear understanding that being successful is about bringing YOUR BEST SELF into every area of life. And realizing It is about consistently being able to expand and grow into the person you always imagined you could be and want to be! Challenging them to Love themselves first to build confidence within; to serve those who are in need; and to find their true purpose in life. This program gains the attention of all students through Entertainment, Engagement & Education which allows them to reflect on who they are as a person and who they really want to be! TwinSportsTV Athletic Scholarship Fund: Athletic programs are tremendous outlets for many youth and for some, finances can hinder their ability to participate in extracurricular recreational activities. Through this scholarship fund, youth community sports centers and high school sports teams around the country will receive well- deserved funding to cover participant registration and uniform costs or to support needed equipment purchases. 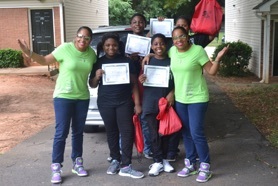 Jr. Broadcasters Mentoring Program: The TwinSportsTV Foundation mentors underprivileged Atlanta-based middle and high school students throughout the year. As we educate and teach students the dynamics of the broadcasting industry, we also introduce them to new opportunities and expose them to nontraditional job options through this yearlong program. Junior Broadcasters receive hands-on field experience, which collectively acquaints them with the behind-the-scenes roles in the entertainment and sports industries. Primary focus areas include team work, discipline, and excellent classroom performance. “Stop the Bullying School Tour” Program: TwinSportsTV has traveled to more than 150 schools across the nation specifically educating students about bullying through the “Stop the Bullying School Tour.” We promote self-love messages in the sessions to help prevent and stop bullying, because bullying leads to low self-esteem, depression, and occasional suicide. Through real-life testimonials from special guest speakers, recording artists, and professional athletes (e.g. NFL, NBA, MLB, Olympians, etc. 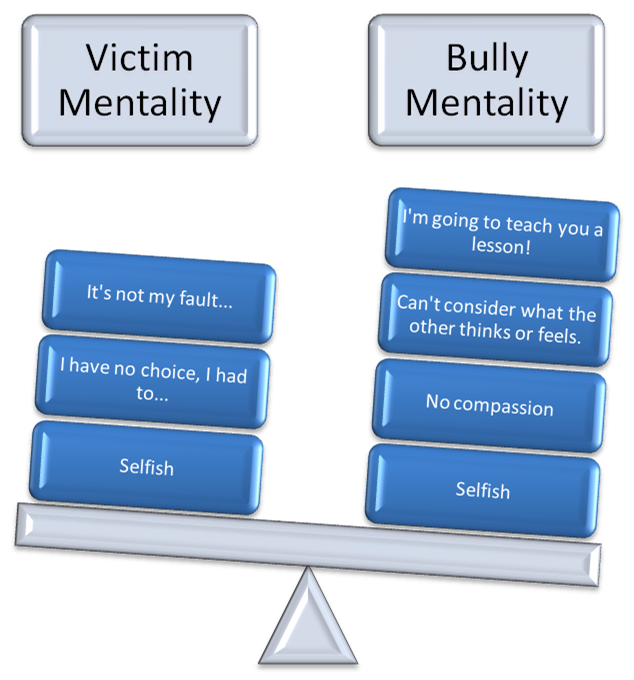 ), we also showcase the consequences and negative impact bullying has on victims now and later in life. Student engagement and interaction help bring the message home through poems, raps, songs, plays, and the spoken word. Providing A Positive Outlook for Students to DREAM BIG! Often time students are demeaned and harassed because of their race, religion, social class, sexual orientation or some other aspect of their identity. 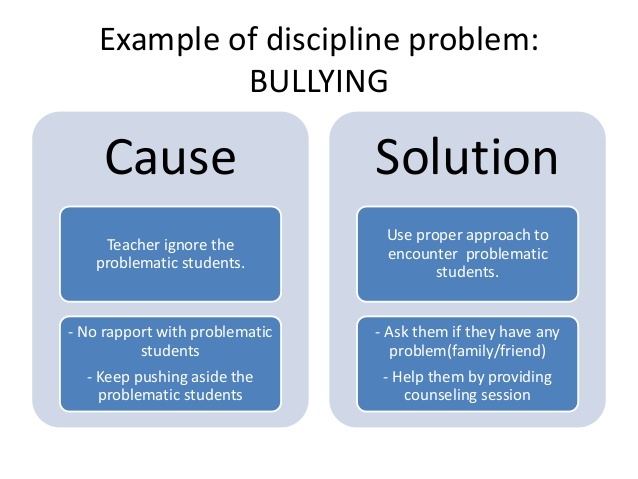 We now know that name­calling and bullying can devastate children—both emotionally and academically. It can also lead to bias­motivated violence. 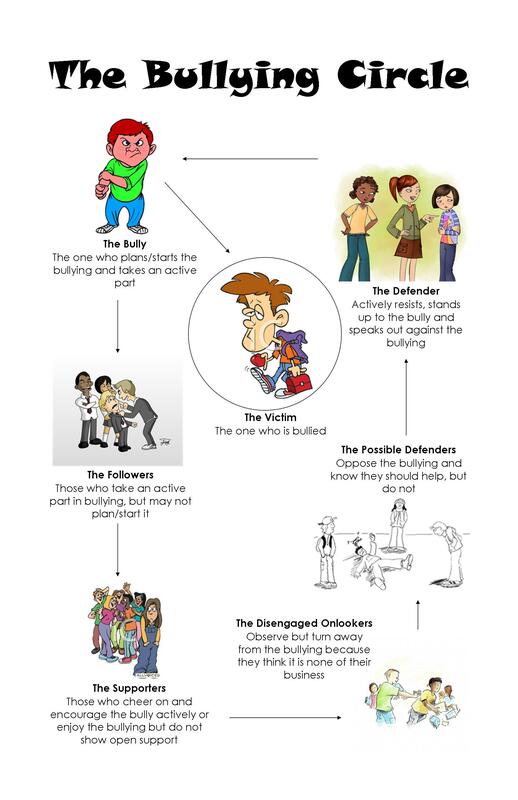 That’s why it’s important for all of us to STOP bullying when we see it—and to send a clear message that bullying will not be tolerated in the school system. 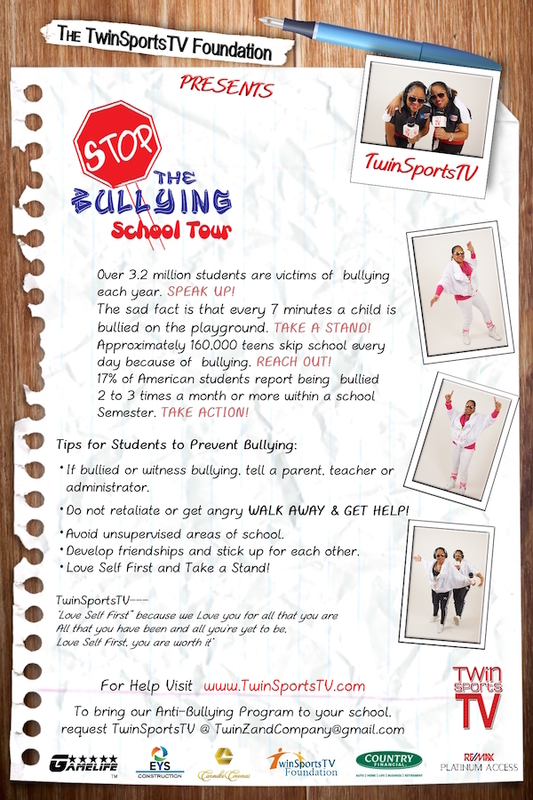 TwinSportsTV Foundation presents the “ Stop The Bullying School Tour” which strongly believes that through acting skits, music, sports, speaking and dancing, we can educate the youth of today to “Love Self First” as a way to prevent bullying. This 60 minute program offers a balance of entertainment and education through powerful guest speakers such as anti­bullying advocates, recording artist to sports figures. Through student interaction, giveaways and powerful real life stories, this program gives life to a topic which students shy away from. 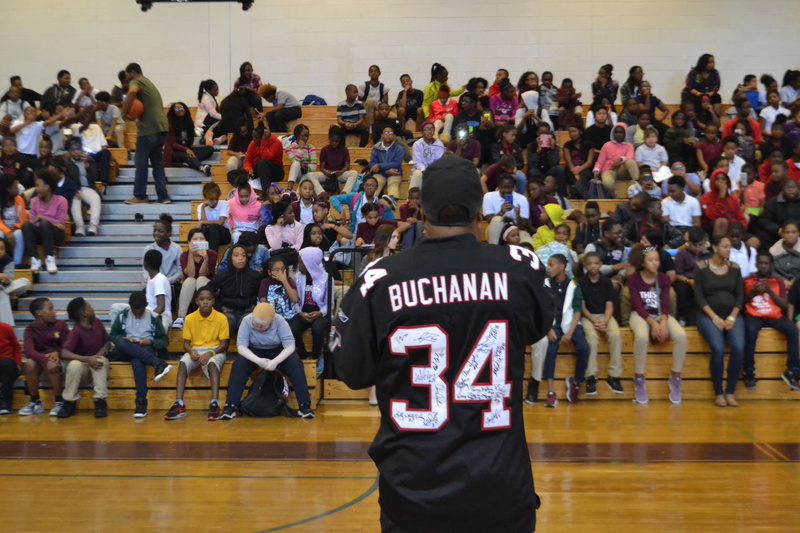 The Stop the Bullying School Tour guest speakers have included: Ray Buchanan (Atlanta Falcons), Jerious Norwood (Atlanta Falcons), Dwight Johnson (NY Giants), Dee Dee Trotter (Olympic Gold Medalist), Derrick Tatum (Tennessee Titans) and Angelo Taylor (Olympic Gold Medalist) to name a few. 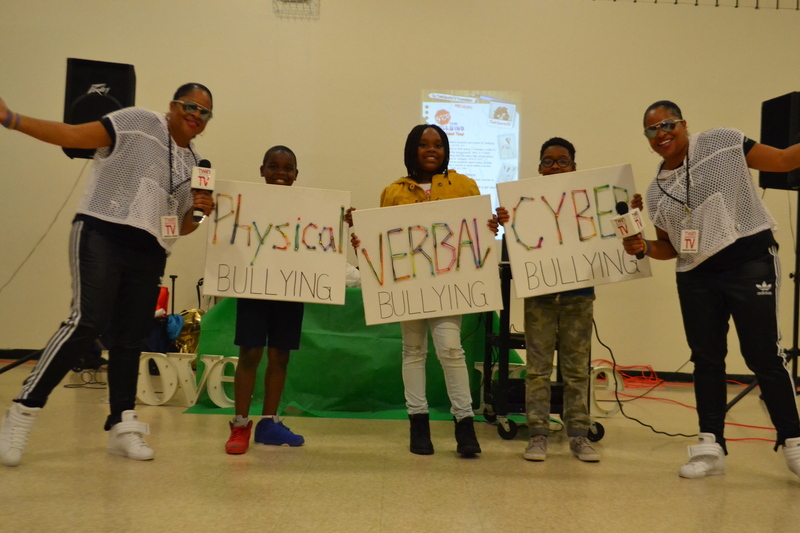 The Stop the Bullying School Tour is hosted and highlighted by TwinSportsTV, “The New Faces of Sports Media,” a youth sports TV program which airs on Comcast Channel 24 every Friday at 7pm, to bring more awareness to this wide spread epidemic of bullying. We are also excited to have Carmine Cinemas, ReMax Platinum, Game Life & EYS Construction to actively get involved in advocating anti­bullying as proud sponsors. 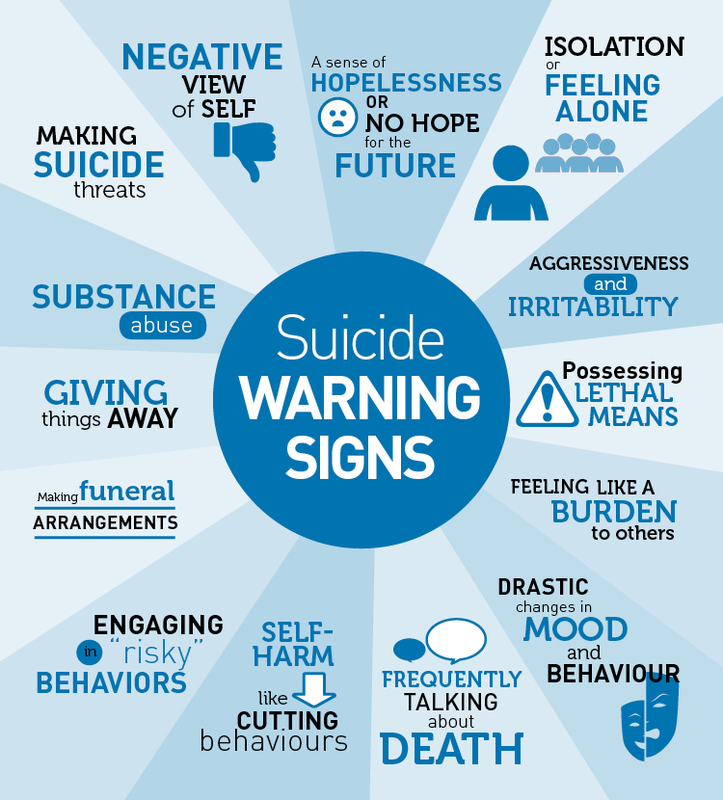 This program is important because bullying in schools is one of the leading causes of low self-esteem, depression and most of all suicide. 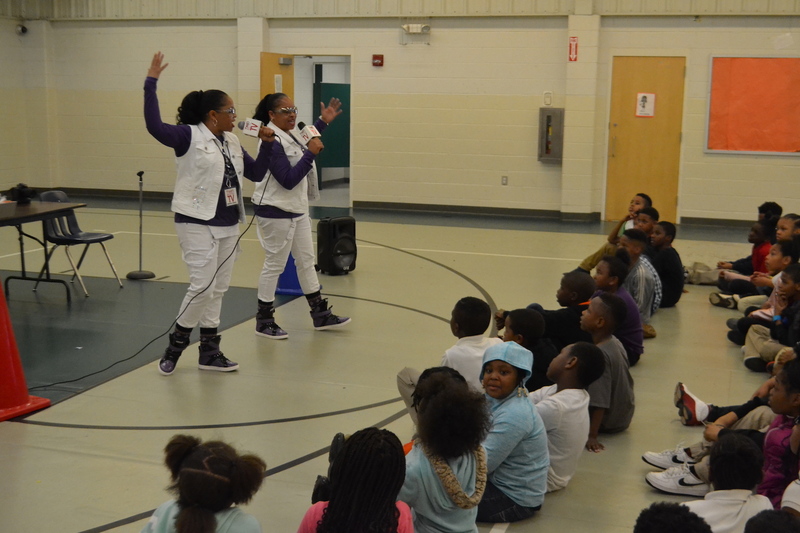 The Stop the Bullying School Tour program has been to over 150 schools in Georgia, informing students of the risk and consequences of bullying. We hope that you and your school or recreation center would be of interest in participating with this promising movement. Donate now to help the youth of today! Are you a child or youth in need of help? Listed below are several hotlines serving youth in the US that you can call when you need to talk. Peer listening line for those under 25 years old. National Youth Crisis Hotline for crisis intervention and school tip line for reporting weapons or homicidal remarks. © 2019 All rights reserved by TwinSportsTV.